Bert Green Fine Art is pleased to present two solo shows of new paintings by Jeff Gillette and Carl Ramsey. 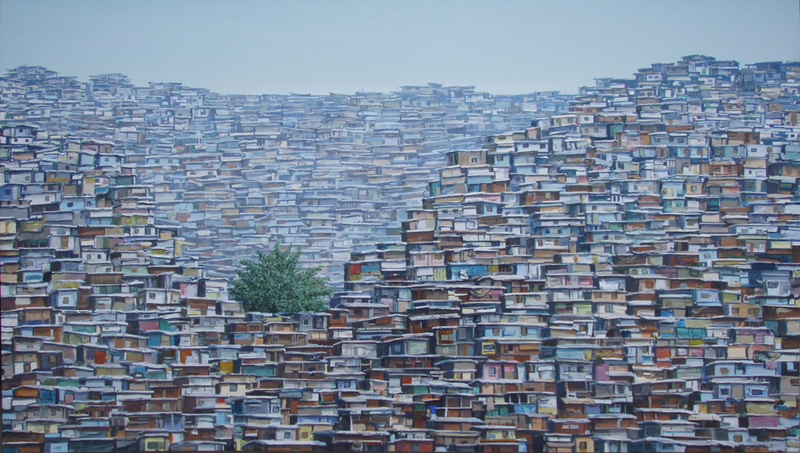 Jeff Gillette, originally from Detroit, MI and now living and working in Orange County, CA, has for about a decade, been painting works which examine the aesthetic structures and visual patterns of human settlement, specifically that of shantytown style slums in India and South America. To the artist, there is something ineffable behind the obviously chaotic and desperate appearance of these places — a universality of human spirit and a strange beauty which comes out of the necessity and raw honesty of the will to survive. 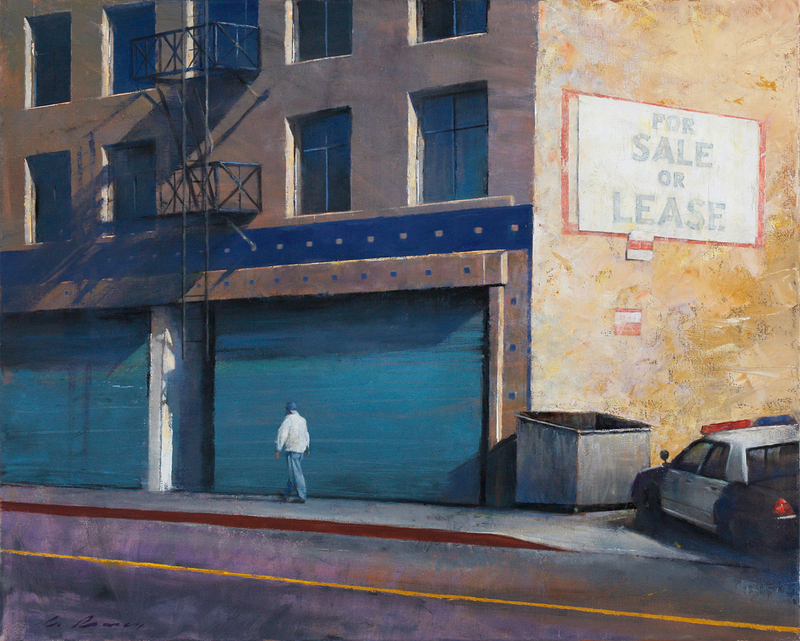 Carl Ramsey, a San Diego native and current resident of Los Angeles, is invested in his surroundings as an involved observer, capturing the look, feel and rhythms of the vibrant cityscape. His works are carefully constructed compositions which communicate a formal narrative of place. The areas which he depicts tend to be poor and neglected, often in transition, and can appear to be lost in time — contemporary and yet wistfully lost or easily confused with decades past. This entry was posted in Openings and Events and tagged art, Bert Green Fine Art, Carl Ramsey, Chicago, Gallery Openings, Jeff Gillette, painting, Urban Paintings. Bookmark the permalink.